Bulbs and Pens – Alexora BioMedical Technologies Inc.
Light therapy is the application of light energy to the skin for therapeutic benefits. It is a natural photobiochemical reaction similar to the process of plant photosynethsis. Photons are absorbed by the skin and underlying tissue and triggers biological changes within the body in a process know as photobiomodulation. The Arthritis Relief and Wrinkle Removal Bulb is a highly effective new light source that to penetrate layers of skin and improve circulation and speed up healing and other cellular functions. It is now known that the body is composed of all colors of the light spectrum. By adding a very intense red and near infrared to the body in a concentrated form in the area of pain or wound, the body reacts in a very positive way to stimulate natural compounds in the body that accelerates the healing process. It is composed of chemical LASER diodes mounted on an LED platform covered by medical grade plastic to allow maximum light penetration and even distribution. It is also made in such a way that the heat dissipates quickly keeping it relatively cool, allowing one to touch the bulb while in use and not get burnt. Your skin has the ability to regenerate its cells through the absorption of red and infrared light, which reverses the visible signs of aging. Chemical injections or surgical procedures are no longer your only options for regaining a youthful look. The Arthritis Relief and Wrinkle Removal Chemical LASER Bulbs are designed around a research originally done by NASA. This light produces the NASA study’s required level of energy that was shown to stimulate fibroblasts which causes an increase in collagen and elastin-restoring the skin to its more supple state. By using the arthritis relief and wrinkle removing bulb for nine minutes, twice a day, a dramatic tightening of the skin will start to occur, causing a reduction in the appearance of fine lines, wrinkles, facial blemishes and crow’s-feet creating a smoother, less wrinkled and more youthful look. In as few as four treatments many begin to see and feel a difference. Once your skin has healed, generally about a month, it is recommended two treatments per week be continued for maintaining the quality of your skin. Photo rejuvenation has been available at spas. Now you can have the same results at home for a fraction of the price. Look years younger with Chemical LASER-Based Arthritis Relief and Wrinkle Removal Light Bulbs anti-aging, red and infrared light therapy. There are many products out in the market that promote their effectiveness using many formats and unique adaptions but the Arthritis Relief and Wrinkle Removal Bulbs are the easiest to use, i.e. in the comfort of your own home or office without miss work or social functions and without the high priced doctor or spa bills. Laboratory studies have shown that skin cells grow 150-200 percent faster when exposed to certain wavelengths. Independent research for over 40 years has shown Red and Infrared light delivers powerful therapeutic benefits to living tissue. Both Red and Infrared light has been shown to affect at least 24 different positive changes at a deep level. Red light, at wavelengths from 630-660 nanometers penetrates tissue to a depth of 8-10 mm. Near infrared light has shown to be more penetrateing than red light and with minimal production of heat. All biological systems have a unique absorption spectrum, this uniqueness determines which wavelengths of light will be absorbed to produce a given therapeutic effect. The red and infrared portions of the spectrum have been shown to be highly absorbent and produce unique restorative effects in living tissues. 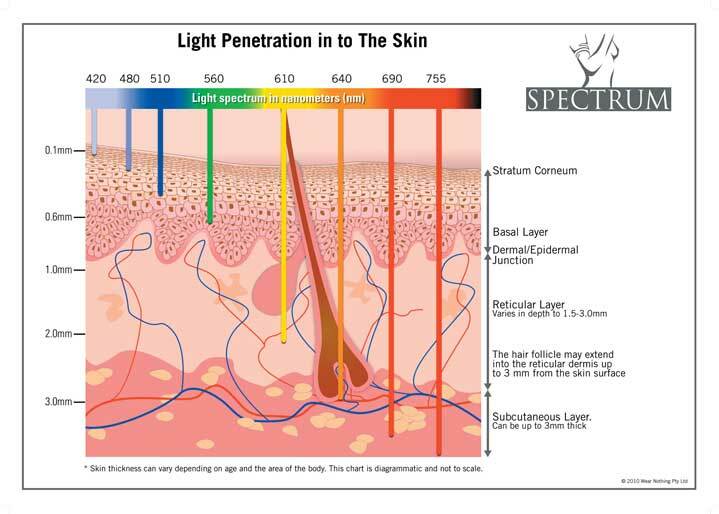 Photons are absorbed by the skin and underlying tissue and triggers biological changes within the body in a process know as photobiomodulation. Monochromatic light increases oxygen and blood flow, facilitating wound healing. In addition to this Arthritis Relief and Wrinkle Removal Bulb uses polarized light. In 1981, Hungarian researchers have emphazized the importance of polarization in obtaining LASER biostimulation effect and control the activity of the cell membrane. Polarized light is able to reduce or remove fine lines and wrinkles around the eyes or mouth. Due to the ability of polarized light to penetrate even deeper into the tissues, reaching testuturile subcutaneous, and combined with other targeted therapies have positive effects on cellulite removal. It also provides relief from arthritis joint and rheumatic pain as it reduces muscle with direct effect on muscle spasm by relaxing, stimulating contraction and reducing swelling, reducing healing time and allowing rapid resumption of normal activity. In case of burns, even the deep second degree burns, the effects of light therapy helps the delivery of pain and skin regeneration at a faster healing without sequelae. Treatment duration and must be done daily, but the results are downright spectacular. Also in diabetic skin ulcers, varicose veins or sores, has beneficial effects in polarized light as a trigger and stimulate skin regeneration and subcutaneous tesutrilor, healing is much faster and more aesthetic. Polarized light therapy has no side effects or contraindications, it can be used both by those suffering as well as healthy ones, to get a sense of well-being and physical and mental. Stimulate the release of adenosine triphosphate (ATP). ATP is the major carrier of energy to all cells. Adenosine triphosphate provides the chemical energy that drives the chemical reaction of animal cells. It is the body’s fuel. Increase lymphatic system activity. Edema, which is the swelling or natural splinting process of the body, has two basic components. The first is a liquid part, which can be evacuated by the blood system, and the second is comprised of the proteins, which have to be evacuated by the lymphatic system. Research has shown that the lymph vessel diameter and the flow of the lymph system can be doubled with the use of light therapy. The venous diameter and the arterial diameters can also be increased. This means that both parts of edema (liquid and protein) can be evacuated at a much faster rate to relieve swelling. The Arthritis Relief and Wrinkle Removal Bulbs are designed to fit inside regular lamps and operated as a regular incandescent bulb. You can place the bulbs inside the lamp and direct the lamp light to the area you want to irradiate. Exposure time: 10-12 min per treatment per area treated twice daily (maximum) for the first month followed by two treatments per week. If a treatment is missed, extend the daily treatments for the lost days. Distance from the bulb to the affected area: 4-10 inches depending on desired results and skin condition to be treated. Everyone’s skin varies, but most people feel and see a difference in about four treatments. Because of differences in damaged skin, some people will see the benefits almost immediately and others will need more treatments. Because treatments are progressive, we recommend treatments for at least ten (10) weeks, for maximum results. No studies have been found showing any harmful effects to the eyes when using our product correctly. However, we recommend not staring directly into our bulbs or wearing protective eye gear. Can I combine light treatments with other skin care? Yes, light treatments can be used alone or with other skin care treatments. 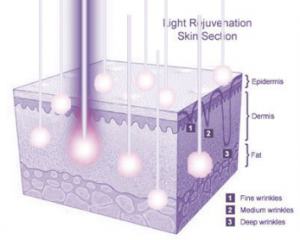 Many physicians have found light treatments to complement other skin care treatments or even have synergistic effects. This is called photodynamic therapy. It can also be used to augment cosmetic acupuncture by shining the bulb while the needles are placed on the area being treated especially the face. Will the light treatments hurt? No the bulb light treatments are non-thermal, non-ablative, and non-invasive. Red and Near Infrared Light Therapy is a non-invasive procedure that activates skin cells with pulses of low-level, non-thermal light energy. It converts light energy that penetrates the skin cells, like photosynthesis, which takes sunlight and converts it into food energy in plants. 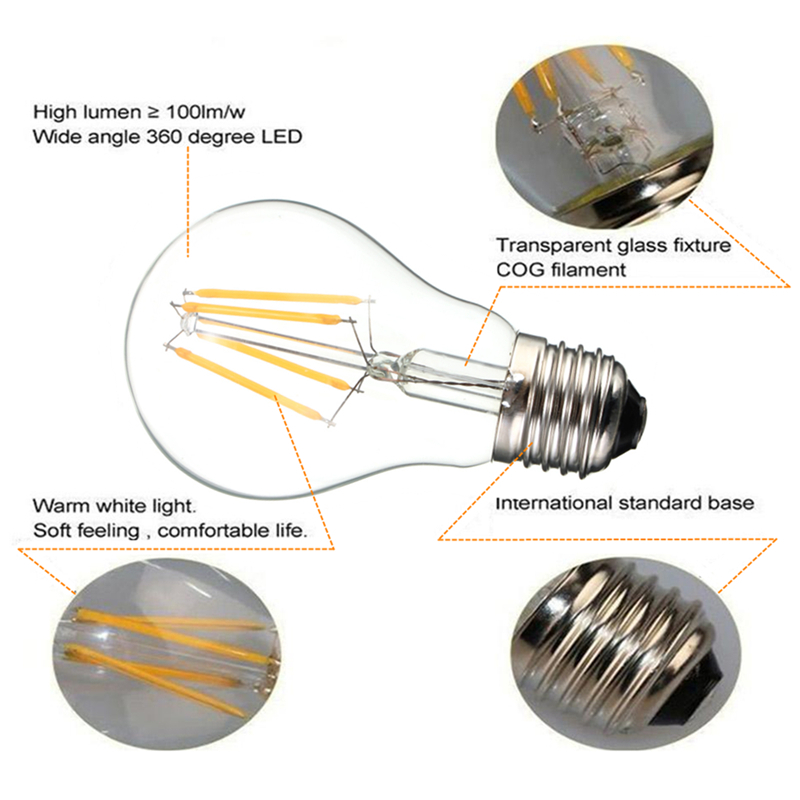 Antimicrobial Bulb is composed of chemical LASER diodes mounted on an LED platform covered by medical grade plastic to allow maximum light penetration and even distribution. 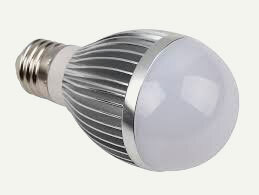 It is also made in such a way that the heat dissipates quickly keeping it relatively cool, allowing one to touch the bulb while in use and not get burnt. Increasing antibiotic-resistant bacteria is a major health care problem. 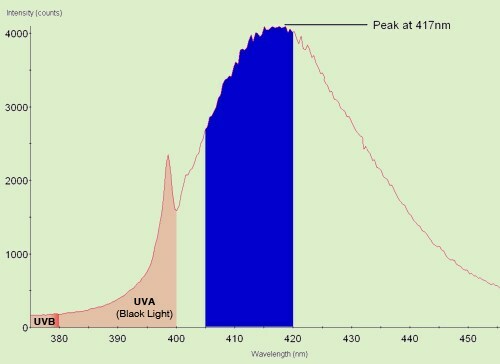 Blue light at 400-470 nm is bactericidal and aides in the prevalence of MRSA and other bacterial infections. Blue light can work on bacteria resistant to drugs and spare your liver of the toxins associated with their metabolism. Fungal infections, on the other hand, are a bigger challenge to treat. Blue light also has the same effect on fungi as it has on bacteria and can help prevent persistence of these infections. In a room where there a numerous opportunistic pathogens in the air, blue light can help sterilize the area and attract negative ions as a side effect producing a distinct smell. Recently, a team of scientists from the National University of Singapore (NUS) has found that blue light emitting diodes (LEDs) have strong antibacterial effect on major foodborne pathogens, and are most effective when in cold temperatures (between 4°C and 15°C) and mildly acidic conditions of around pH 4.5. This opens up novel possibilities of using blue LEDs as a chemical-free food preservation method. Acidic foods such as fresh-cut fruits and ready-to-eat meat can be preserved under blue LEDs in combination with chilling temperatures without requiring further chemical treatments that are commonly needed for food preservation. These findings were recently published in the Food Microbiology journal in June 2015. Newborn jaundice, or hyperbilirubinemia, occurs when a newborn’s liver isn’t quite up to the task of breaking down red blood cells for excretion. The resulting buildup of the byproduct bilirubin in the body’s tissues turns the infant’s eyes and skin yellowish. Left untreated, the condition can lead to cerebral palsy, brain damage or hearing loss. Around the globe, newborn babies are treated for jaundice every day using blue light. This is shone on the most delicate and tender example of human skin, and yet no side effects occur. Crigler Najjar Syndromeor CNS is a rare inherited disorder affecting the metabolism of bilirubin, a chemical formed from the breakdown of the heme in red blood cells.It occurs when the enzyme that normally converts bilirubin into a form that can easily be removed from the body does not work correctly. Patients with this condition need to spend extended amounts of time under blue light every day, for life. However, despite the quantity of hours spent under blue light on a daily basis (typically 10 hours or more), no long term side effects are reported. We all have a handful of names for whatever shade of blue we see. They may be “violet”, “navy blue”, “ royal blue” or “sky blue”, etc. Well, science names color by its wavelength. 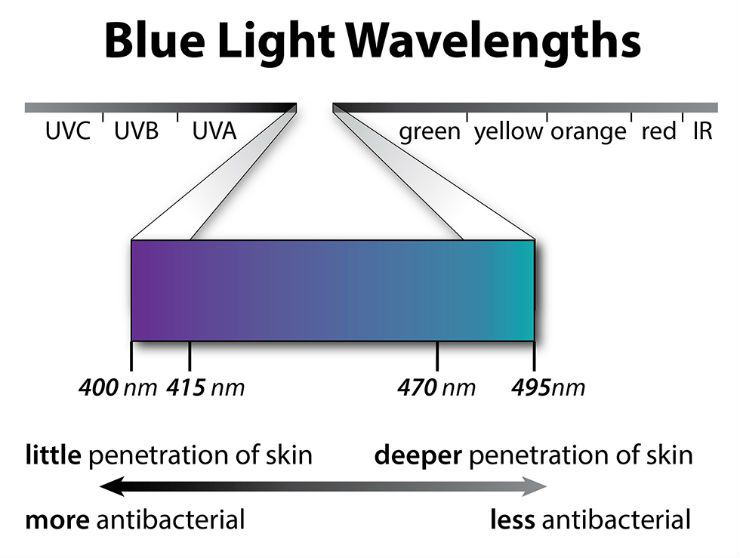 The wavelengths of light are measured in nanometers, which is abbreviated “nm.” So when you’re looking at blue light therapy products, you might come across the actual wavelengths of the light. The Antimicrobial Chemical LASER Bulb uses a 417 nm in the blue-violet region or near UV which is best known for antimicrobial properties in combination with royal blue for liver support. In addition to this Antimicrobial Chemical LASER Bulb uses polarized light. In 1981, Hungarian researchers have emphazized the importance of polarization in obtaining LASER biostimulation effect and control the activity of the cell membrane. Polarized light is able to penetrate even deeper into the tissues, reaching testuturile subcutaneous, and combined with other targeted therapies have positive effects on cellulite removal. It is also less glaring to make the light friendlier to the eyes. 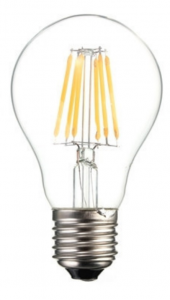 The Antimicrobial CLED Bulbs are designed to fit inside regular lamps and operated as a regular incandescent bulb. You can place the bulbs inside the lamp and direct the lamp light to the area you want to irradiate. General use: 10-12 mins per treatment per area treated twice daily (maximum) for the first month followed by two treatments per week. If a treatment is missed, extend the daily treatments for the lost days. Acne: 8 treatments of 10-20 min over a 4 week period to virtually clear most inflammatory acne cases for mild to moderate acne, then the frequency is reduced to maintenance treatments 2x to 3x per week. Liver Support (neonatal jaundice and Crigler-Najjar Syndrome): expose a large area of the skin or prolong the exposure time. A general treatment time would be 20 minutes. For Crigler-Najjar Syndrome, treatment may last up to 10 hours as prescribed by a physician. Preserving Food: 2-15 min depending on temperature and pH level. The lower the temperature and the more acidic the food is (meat are acidic, vegetables are alkaline) the less the exposure time. Everyone’s body chemistry and condition is different. Because of differences, some people will see the benefits almost immediately and others will need more treatments. Because treatments are cumulative, we recommend treatments for at least ten (10) weeks, for maximum results. 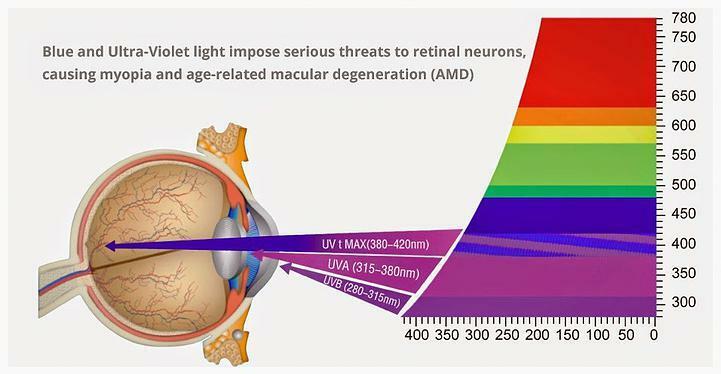 Blue light, which is part of the visible light spectrum, reaches deeper into the eye and its cumulative effect can cause damage to the retina and may increase risk for age-related macular degeneration. Protective eye gear is a must. Yes, light treatments can be used alone or with other skin care treatments. Many physicians have found light treatments to complement other skin care treatments or even have synergistic effects. This is called photodynamic therapy. Most topical applications should be applied after light therapy but aminolevulenic acid should be applied before using blue light therapy. Through the ages, people have been affected by the change of seasons. Winter’s darkness commonly brought sadness, irritability, lethargy and even social withdrawal to many. In today’s world, not only seasonal changes but also changes in work shifts, jet lag, and lack of sunlight can affect a person’s natural biological cycles and moods. Research documents the effects of the sun deprivation and terms the resulting behavior “seasonal disorders.” In treating seasonal disorders, clinicians have discovered that therapy with daylight stimulation light color spectrum lights can have beneficial results on biological cycles as well as state of mind. The SAD Light Bulbs are highly effective new light bulbs that use Chemical Light Emitting Diode (CLED) Light therapy to treat the symptoms associated with Seasonal Affective Disorder (SAD). Seasonal affective disorder impacts 10-20 percent of the population in dim Nordic countries, and may disproportionately affect adults and children diagnosed with Attention-Deficit / Hyperactivity Disorder (ADHD) everywhere. 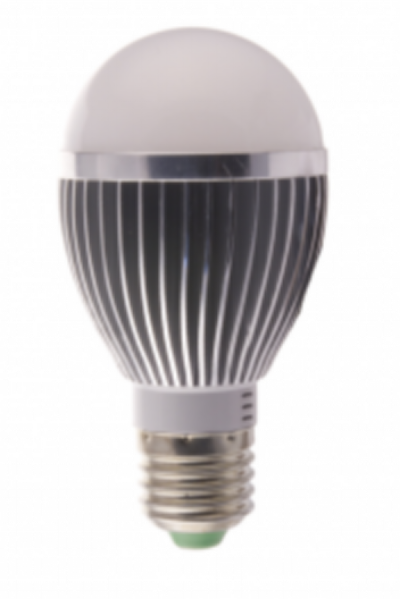 The bulbs provide long life (25,000-35,000 hours), pure white light, and are shock and vibration resistant. They are designed to replace standard light bulbs to provide daylight stimulation in a more user friendly format that people can easily relate to. The unit’s size, shape and weight are very easy to carry to most locations and install without any special tools or other people knowing you are receiving this SAD therapy. The SAD Light Bulbs appear to be able to promote circadian rhythm adjustments, morning melatonin suppression, regularized sleep patterns, and antidepressant responses. Exposure to daylight stimulation has been clinically proven to be most effective in treating Seasonal Affective Disorder. Studies also have shown that daylight light therapy can reverse symptoms of SAD. The SAD Light Bulbs can replace other larger more costly units in the market but in a standard bulb format (instead of a light box) for easy use and versatile applications. With this standard bulb type you can easily replace the light treatment anytime during the day or night. By using this SAD Light Bulb as your room lights it allows you to move around the area to receive the light treatment anywhere anytime and not be stuck in 1 place or 30-60 mins to receive daylight requirements to offset SAD symptoms. Useful for insomnia, fitful sleep, and difficulties waking in the morning, SAD Light Bulbs have no negative side effects and can address sleep problems without chemicals or medications taken into the body. It is also one of the most soothing ways to support the body’s natural process and help combat the kind of stress our hectic 24/7 schedules create. The SAD Light Bulbs produces a light that is highly beneficial for reading and working on the computer. The clarity and glare-free CLED lighting prevents eye strain, making long hours of reading enjoyable again. Distinct from the soft-edged effect associated with incandescent lighting or the cool blue color associated with fluorescent lamps, you’ll immediately appreciate the difference of CLED glare-free light. The SAD Light Bulb is designed to have NO EMF (electromagnetic field) emissions or electromagnetic radiation, no mercury or other harmful elements in their construction and operation (RoHS certified). 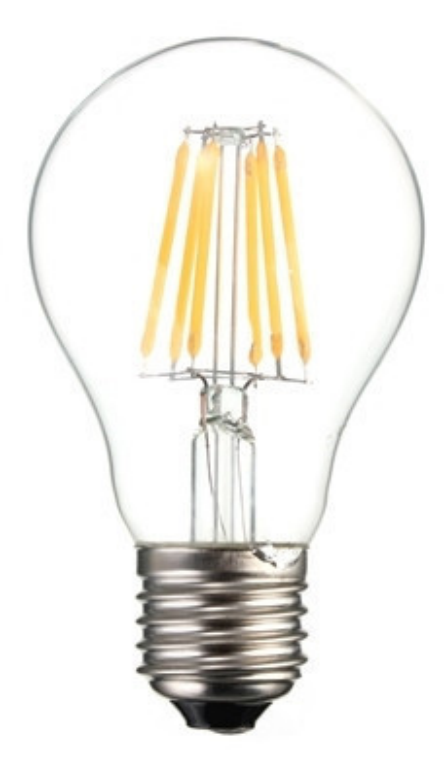 People with Electromagnetic Hypersensitivity (EHS) which affects 1-3% of the general population with the most prevalence in the Nordic countries can use these bulbs as replacement for Compact Fluorescent Lamps (CFLs). Having a wider range of voltage acceptance range than most standard type CFL, LED bulb are designed to withstand higher heat temperature. This SAD bulb fits standard lamp sockets; E26/27 based for home use applications without any special attachments or accessories. The SAD Light Bulbscan be used as a replacement for conventional lights during the day/night and you can still receive the light therapy treatments to ward off SAD symptoms. SAD Light Bulbs can be twice as effective as conventional light therapy by their large area coverage with their light patterns around the house. Ideal for adults or children who cannot spare 30 minutes for conventional light therapy using light boxes but have work to do including homework, office work or just sitting watching TV for several hours during the day/night. When installed in a lamp device: At 10-12 inches (25-30 cm) away, the bulbs deliver 8,000 lux and should be used 30-40 minutes. At 18 inches (45 cm), it delivers 4,000 lux and we recommend its use for 1 -1.5 hours each day preferably in the morning or in the evening when working on your or computer. The treatment works through the absorption and passage of light by/through the eyes but does not require you looking directly into the light. At home/office as standard bulb replacement: Have this light on as you normally do to receive daylight stimulation. No set operational time limits. There are multiple ways to mobilize qi and blood in the body, providing excellent results without needles. Modern research has provided new opportunities for acupuncture treatments that did not previously exist, including microcurrent, magnetic treatments and laser acupuncture (Thompson, 2013). NOTE: This LASER is constructed to operate for selected applications and is marked accordingly for laser devices IAW USA laser device standards. 635 nm (Red) -The most common. The same wavelength produced inside the cells of the body, so it is biologically compatible with the body. Stimulatory effect: increases ATP production in the cell. TONIFYING effect on an acupuncture point. There are also reds in the 650 to 670 nm range, which are laser pointers that you buy at an office supply store for presentations. These are not particularly well suited to acupuncture and do not have the same biological effects as 635 nm lasers. 450 nm (Blue) – NEW in the market. The previous so called blue was really an ultraviolet. The NEW 450 nmis pure sapphire blue. SEDATES or calms the channel. NOTE: Specifications subject to change without notice. Do not completely enclose bulb in housings. Excess heat buildup in the confined air will effect operations. For indoor use only. DISCLAIMER: This product is not intended to diagnose, cure or prevent disease. A qualified medical professional should be consulted with regard to any condition requiring medical attention especially for those using photosensitive drugs, are pregnant, or have thyroid condition.